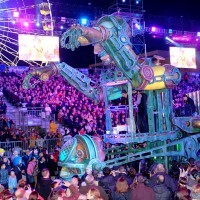 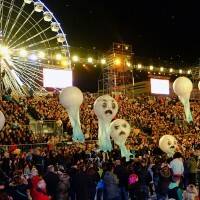 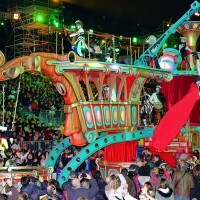 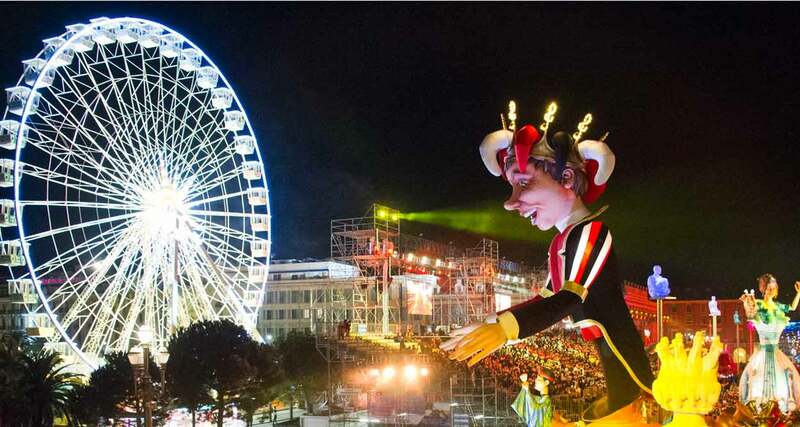 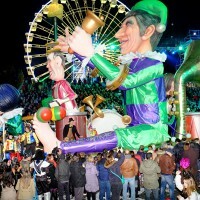 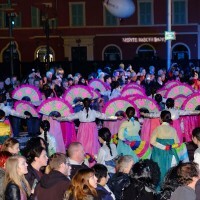 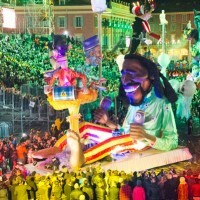 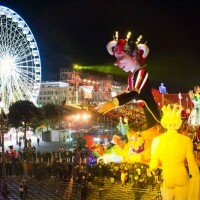 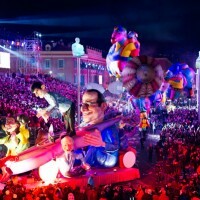 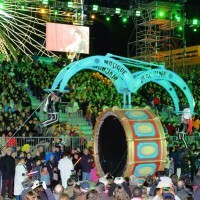 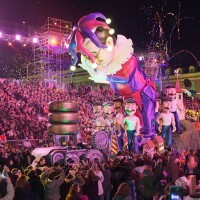 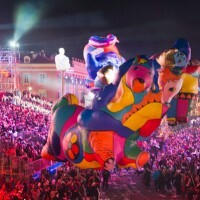 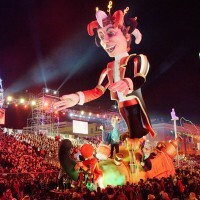 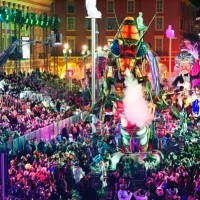 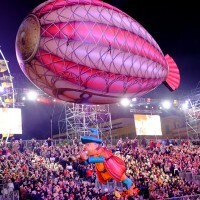 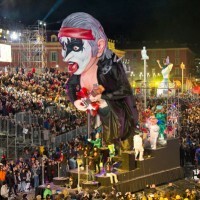 From February 13 to March 1, 2015, the Carnaval de Nice celebrates its 131st edition with His Majesty “King of Music” as conductor of many floats and animations. 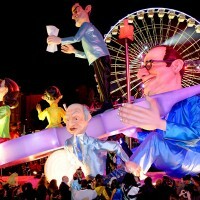 At Carnaval de Nice, his Majesty the King of Music shows with irony and ridicule his love of music, common to all cultures and civilizations. 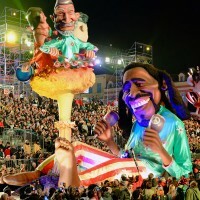 In his merry score, he takes the occasion to ruffle a few celebrities and political figures in a prolific cacophony. 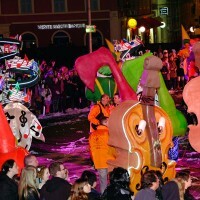 We accompanied the King gone out partying at night with a joyful procession of musicians and friends. 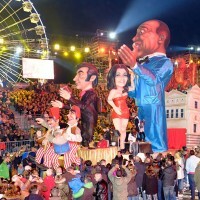 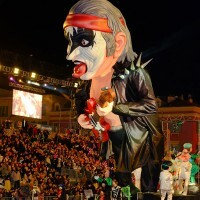 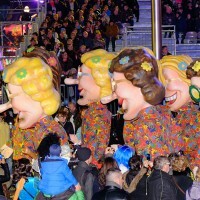 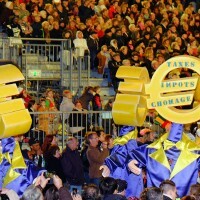 The carnival parade is composed of 18 floats designed according to the theme of Music, and about 180 “Grosses Têtes” (big heads) made of pasteboard. 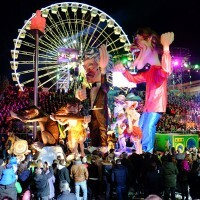 Many animation elements are accompanying the floats, street artists and music groups from around the world, offering a colorful parade in bright colors. 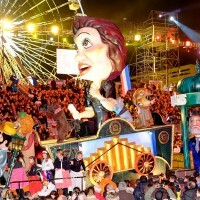 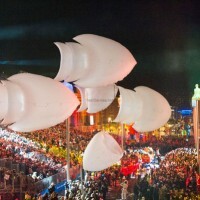 During the night “corsi”, the floats are lit by many spotlights. 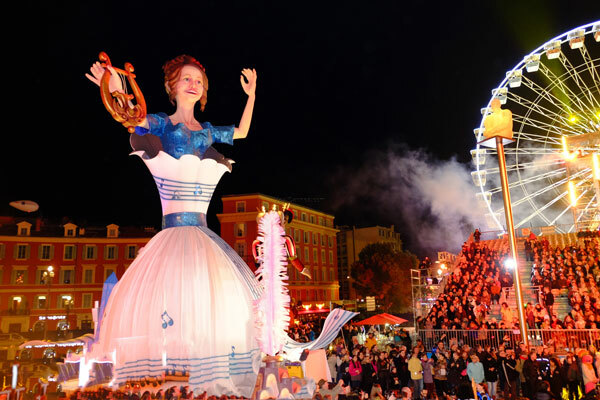 Exalted by a special magic, the corsi illuminate the heart of Nice. 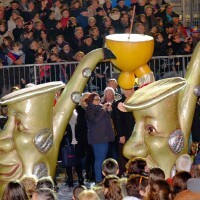 On his float, the King of Music is coming out of a “cougourdon”, a typical Provençal dried cucurbit which served as musical instrument. 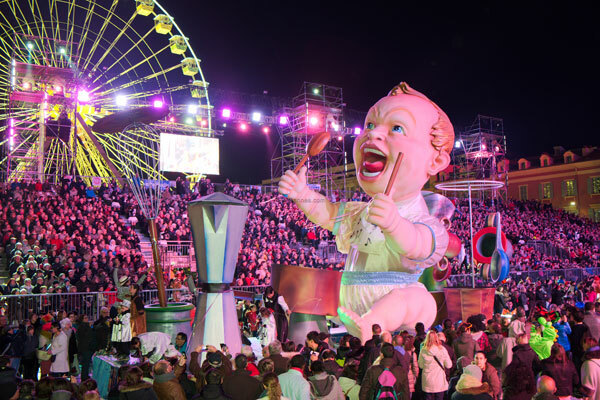 Followed by the Queen dressed with a gown woven with notes, and their baby Carnavalon, playing cacophony on pans and pots, he waves his wand to give the start of a fairy musical tour of Place Masséna and Albert 1er Gardens. 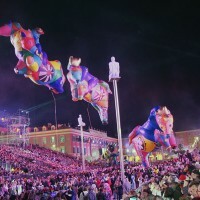 Under many moving spotlights, the show begins. 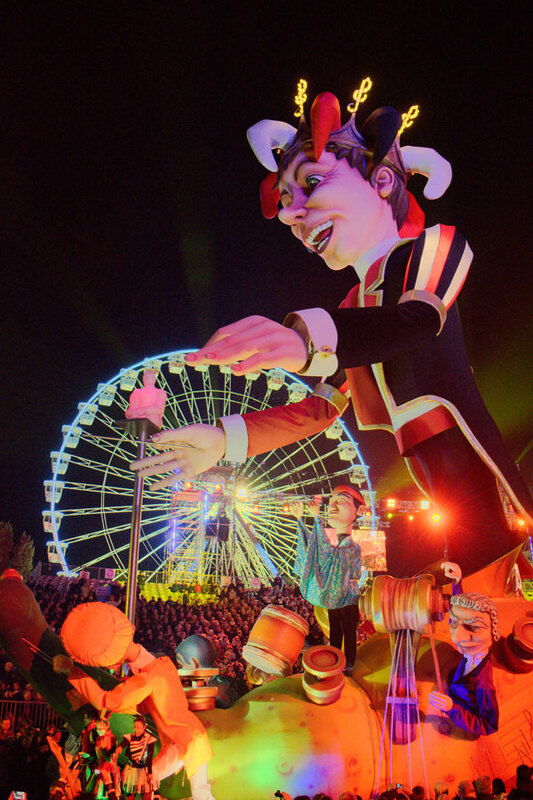 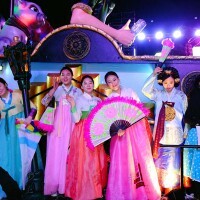 Realized by talented designers and visual artists, the floats – 8 to 16 meters high- express the many facets of music in a festive, satirical and wacky way. 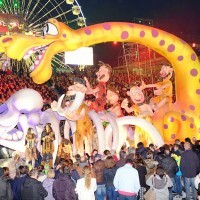 Gérard Artufel, painter and sculptor from Marseilles, seized by the “carnavalesque” passion, designed half of the floats: the King, Music Machine, Worlwide Jam Session, Euro Melomanie, Cacophonous Symphony, Venitian Romance, Hit the Road Jack, Nice Musical Ground, Music Soften Habits. 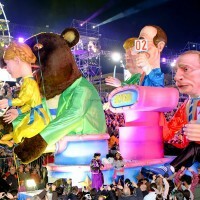 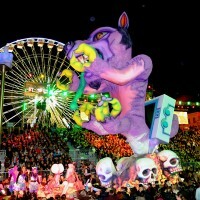 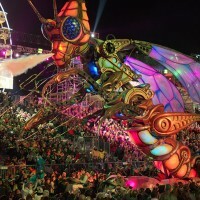 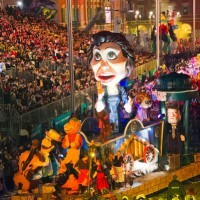 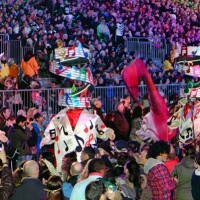 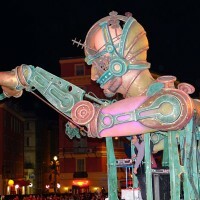 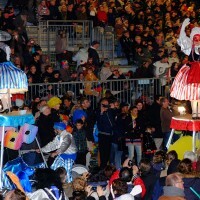 The other floats were designed by cartoonist Kristian, Cédric Pignataro – heir of a long lineage of carnavaliers – and other artists. 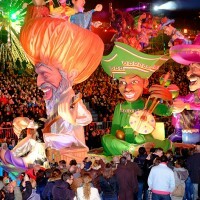 Being a carnavalier is not a trade but a passion. 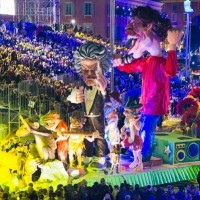 The artists give birth to their creation in a large workshop called “La Maison du Carnaval”. 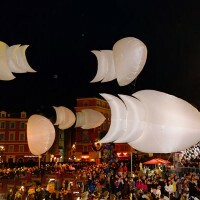 We invite you to discover their work to the sound of music!